Today's card is a pretty simple one, but very beautiful. I love stamping. MISTI tool from My Sweet Petunia helps a lot, when you want the perfect stamping. Probably clean and simple cards aren't for everyone, but they are really great if you need to make an elegant card. Sometimes less is more. I hope you get inspired to try clean and simple cards. If you don't know about MISTI, please check out their website. As always, thanks for stopping by. Have a wonderful day! I feel super lucky and excited to try out new products. I got a few goodies from Tonic Studios and I made a few creations. Today I will share this card I made, using their products. I can only say,that I love their products, especially the NUVO line. The packaging is so glam and perfect. The products are very nice quality too. I used the Nuvo Creative Pens to make my own background for this card. A great alternative for DIY pattern paper. Really beautiful markers and you get the perfect color palette. I have a quick video on my Youtube channel for this card, if you want to have a look. Also, please keep an eye on my blog. I will have other creations coming up, using Tonic Studios goodies. As always, thanks for stopping by. Have a lovely day! Merry Christmas and happy holidays to you all. Over at Whimsy Stamps blog ,our design teams has wonderful creations for you all to get inspired to create and use Whimsy Stamps products, because they are really great. For today, I made a mini card, using goodies from Whimsy Stamps, including, pattern paper, stamps,dies and enamel dots. You can find more if you check their website. Winter cards are not just for Christmas and New Year. You can still give them away to family and friends, during winter time. This is a nice way to bring a smile one someone's face. Thanks for stopping by. Have a wonderful day and stay safe. It's time for my second and last creation as guest for Sasayaki Glitter. You can find sweet and childish digital stamps, plus inspiration on their blog. 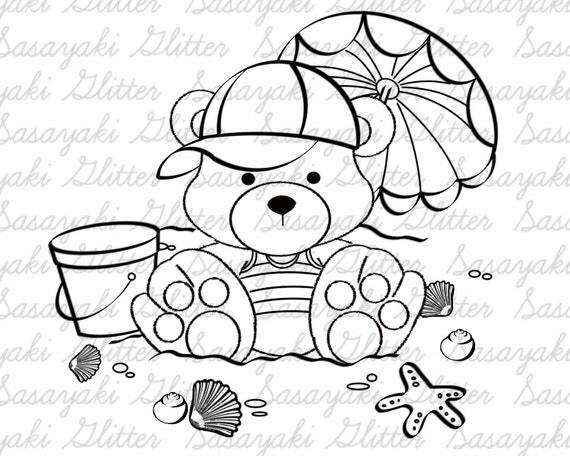 I made a pretty simple card today, using ''Beach Teddy'' digital stamp. This card will be perfect for a little boy. I think I will give this one to my little nephew, on his birthday. If you want to see more designs and support small shops and artists, please visit their shop over here. Today I have another card and video to share with you all. A great way to use your stamps with Misti Tool from My Sweet Petunia. A great tool for stamping backgrounds, sentiments and other designs with great precision. Maybe it's about the right time to ask Santa for one. You will love it! Sometimes from mistakes we get some great ideas. Like this shadow stamping technique is now something I love and hate at the same time. But for this type of background, the result is just beautiful. If you want to see how I made this background with the help of Misti and some stamps, please visit my Youtube video. Thank you for stopping by. Have a great day! Christmas is around the corner and it would be nice to make something for the loved ones. If you like to make your own Christmas cards, then maybe you will get inspired by today's card. Whimsy Stamps has gorgeous holiday stamps and you can use them to create beautiful projects. I used ''Joyous Holiday'' stamps from Whimsy Stamps. I love this set,because I can use these flowers for non-holiday cards in the future. Our design team has great inspiration for you over at Whimsy Stamps blog. Please check them out and share some love. As always, I use Inktense pencils , but you can use markers, watercolors, etc... This flower is simply gorgeous. 'till next time,stay safe and be creative. Have a great day! Revin azi cu o alta postare si creatie in limba romana.Asta pentru ca am inceput o noua colaborare cu DACOart. Un brand romanesc cu materiale pentru lucru manual, atat pentru adulti cat si pentru copii. Doresc sa ma adresez in mod special publicului din Romania si sa va fac cunostinta cu gama DACOart. Daca ati vizitat blogul meu in trecut, banuiesc ca ati aflat cate putin despre Adaconi, DACOart. Daca nu, va rog sa vizitati site-ul lor pentru mai multe detalii. Pentru azi am pregatit o idee pentru ambalarea unui cadou pentru cei dragi, folosind produse de la DACOart. Am fost inspirata de stilul vintage combinat cu stilul scandinav. O metoda simpla, dar de efect atunci cand dorim sa facem un ambalaj mai special. Daca va place forma, dar nu si textura sau modelul pe un anumit obiect, puteti schimba asta cu vopsea, sclipici, etc...Asa am procedat cu aceasta stea, care initial era alba cu mici detalii. Am folosit partea autoadeziva pentru a pune un strat de sclipici. Cam atat pentru azi. Va astept si data viitoare cu o noua creatie. Aveti grija de voi! I like trying new products or new digital designs from talented artists. Today I have a tag , I made using a cute digital stamp from Sasayaki Glitter. I couldn't say no to such cute designs. 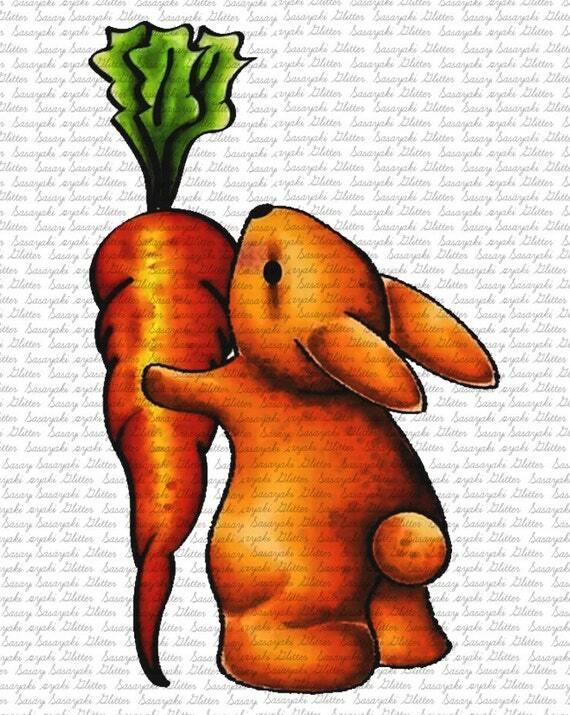 I love bunnies and ''Bunny and Carrot '' digital stamp is one of my favorite designs. You can resize these digital stamps and use them for cards, tags, layouts or other projects. But today, I decided to make a tag to go with this pillow box. If you want to know more about Sasayaki Glitter designs and their challenges, please their blog for all details. Thanks for stopping by! Have a safe and great day! Hope you have a good week so far. Mine is a bit crazy at the moment, but I can finally share a new card with you all. Some of you wanted to know how to make a galaxy background and today I will show you, how to create one. I have a quick video tutorial on my Youtube channel and you can watch it over here. Just take your time when creating a galaxy background and remember : there is no perfection. Feel free to experiment! I love this adorable unicorn stamp from MFT. Goes really well with this background. Makes me wanna dream all day *smile*. If you have questions, please let me know in the comments down below. That's it for today! Have a great day! I had so much fun working with the digital stamps from 2 Cute Ink, last month and sadly today is the last day for me as their guest. I love their designs. You can find their designs over here. You will love them as much , as I do. For today's card, I used this adorable ''Squirrel Present '' digital stamp. I hope to see a real squirrel someday, because they are super sweet. If you have a good printer, then digital stamps will work really well, because you can resize , rotate the design as you wish. But still hope to see their designs as acrylic or rubber stamps. 2 Cute Ink needs our support and love, because they deserve it, with such beautiful designs. Hope you get inspired to create more and share good vibes in our community. Have a wonderful day! Sper ca ati inceput bine aceasta saptamana. Va multumesc pentru comentariile lasate la postarea ''Castiga un Mini Misti de la My Sweet Petunia''. Desi au fost putine persoane, din pacate, doar o singura persoana poate castiga Mini Misti de la My Sweet Petunia. Insa, nu va faceti griji. Voi mai avea si alte concursuri pe blog si Instagram in viitorul apropiat. Felicitari, Codruta! Te rog sa imi trimiti un e-mail la nanny_pink07@yahoo.com cu datele personale, in urmatoarele 48h. I like pattern paper and I can never have enough.But sometimes, I like to create my own simple stamping backgrounds for cards. Today, I have a new card I made with some help from Misti Tool,by My Sweet Petunia. If you don't have this tool, then you probably should write to Santa. Because you will love it. I can be really clumsy with the acrylic block and that drives me crazy, because I end up wasting so much paper. Well, not anymore! Misti Tool gives you precision stamping. I used the original size Misti Tool , because I can rotate the paper as I want, for stamping. But you can use the Mini Misti or the Memory Misti for smaller or larger projects. If you want to see how I made this background, using supplies from My Sweet Petunia. Whimsy Stamps and Altenew, please check out the video over here. Time goes really fast and I don't think I am really ready for Christmas. But I think everything goes crazy right before the holidays. 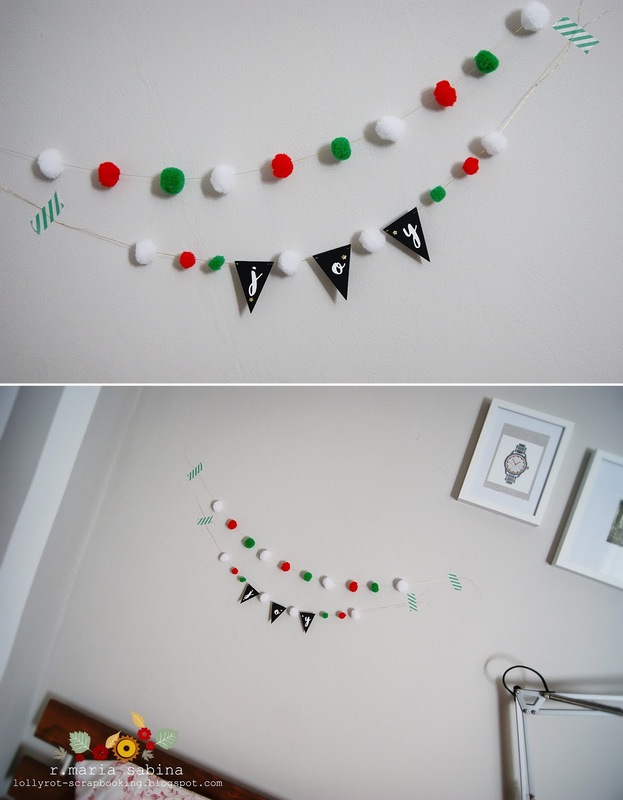 If you are busy and still need inspiration for winter / holiday cards, today I have one for you. I made a new card using goodies from Whimsy Stamps. Really beautiful collection of stamps, pattern paper and other embellishments. This cute penguin will make your day! Just look at this cute face! How adorable! As always, I use Inktense pencils for coloring, along with a very light ink pad, for no line technique. You have to be quick with these products, because they sell really fast. But you can still find other beautiful designs from our talented artists. Check out the website for all products.